Therapak’s Amber Zip Style Bags are constructed of 3 mil polyethylene film. Amber bags serve to protect light-sensitive materials from ultraviolet damage. Reclosable amber bags are available in six convenient sizes. Therapak’s TearTech® Tube Shuttle is a leak-tight, easy to open transport bag for holding up to six standard blood or urine tubes. All tube slots are numbered for ease of use. After the tubes are inserted, simply remove the release liner and fold over to seal. 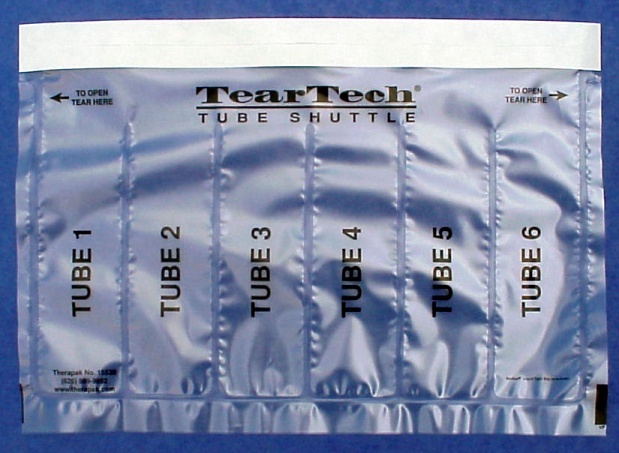 The TearTech® Tube Shuttle should be transported either in one large courier bag with absorbent or rolled up and placed into a standard 6 x 9″ biohazard transport bag. Therapak also offers an 8-tube shuttle made of polyethylene material with a zip style closure. The 8-tube shuttle features numbered tube slots for easy reference. Once tubes are inserted, seal the zipper closure for leak-tight transport. When shipping, an absorbent cloth should be inserted within the courier bag. 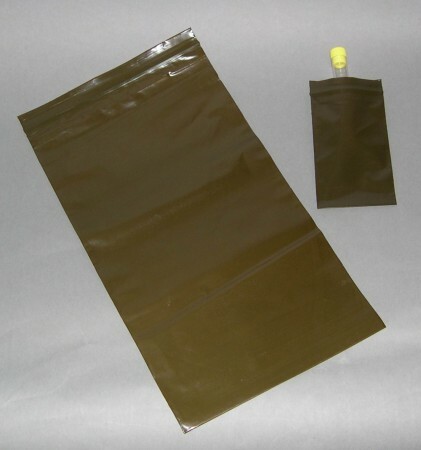 These standard 2 mil polyethylene bags are imported for price competitive quotations. Select the size you want and contact your sales representative for pricing. 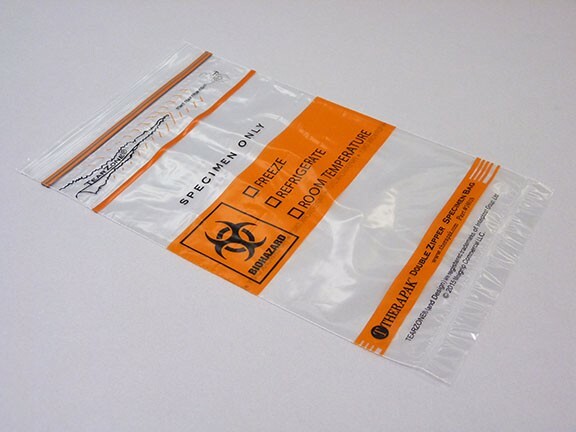 Therapak Zip Style Bags are clear and can be purchased with or without the biohazard symbol imprinted on the outside. 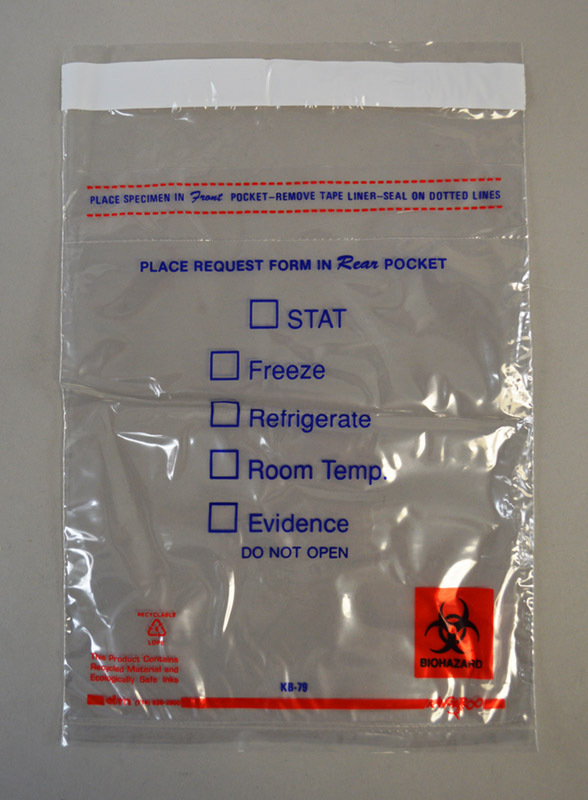 The two-pouch bag is manufactured to hold specimen in one pouch and a requisition form in the other. 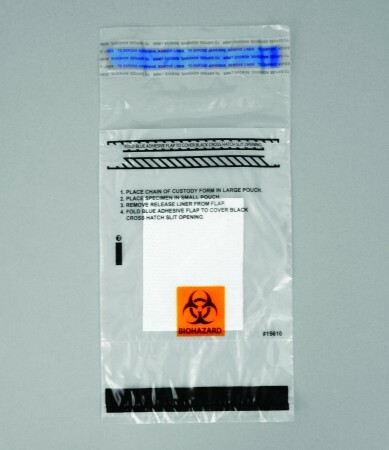 Tamper-evident 1.75 mil Polyethylene adhesive seal bags, perforated for quick entry, feature a 2-pocket design, with sealable specimen pouch and a requisition pouch. The Therapak Gel Pack Insulator Bag is a lightweight, compact alternative to standard insulating coolants. Based on your needs, add warm or cold water to the 6 x 9″ zip style bag and seal. 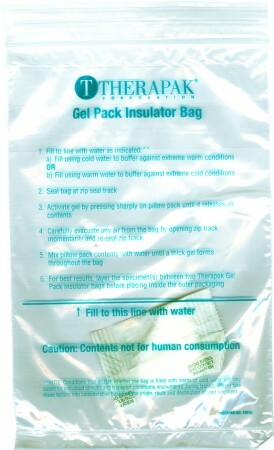 Insert Gel Pack Insulator Bags into your shipping system to help prevent temperature spikes from affecting ambient sample during transit. The pillow pack materials are non-toxic and non-carcinogenic. 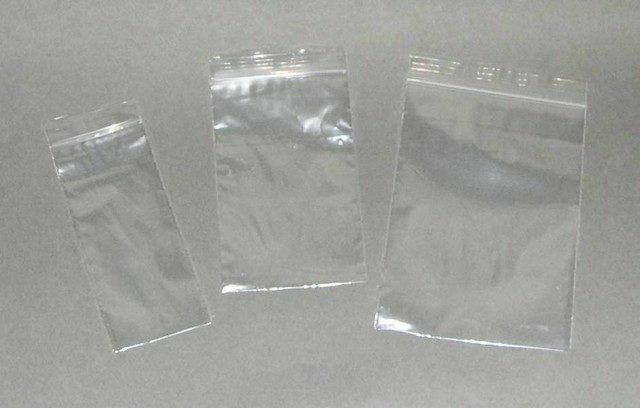 Gel Pack Insulator Bags store flat and are virtually weightless until activated. 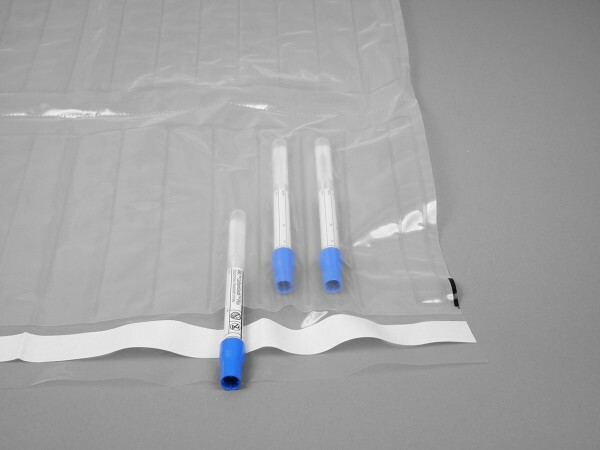 Therapak’s Swab Specimen Transport bag is ideal for transporting multiple swab specimens in a single shipment. To use, place collected swab sample into slots, remove the white release liner to expose the glue line and fold over the slots on both ends to seal. If you are transporting 15 swabs or less, you can maximize use of the bag by tearing the bag in half at the perforation. For compliant transport, please consult with a Therapak representative to combine other ambient packaging components to complete the package for either Exempt Human Specimen or Biological Substance Category B specimen shipments.